Done reading the letters of Rev. John A. Staunton to Bishop Charles Henry Brent (published 1916) about the struggle of putting up an Anglican mission in a once pure Pagan land called Sagada. 1. Roman Catholics were the first missionaries to reach Sagada. They put up a church there. Sagada was then the center of trade in the west of Bontoc. 2. However, the Catholics made no impression at all to the Pagans so they were forced to abandon the mission. 3. In the 1900’s, Staunton and his team of American missionaries struggled to break through the wonders of this Mountain Province town, 30 mile-walk away from Candon, Ilocos Sur which was the nearest port to the town. 4. Staunton was able to convert hundreds of people in Sagada, Besao, Bauko, Benguet and Bontoc. Saint Mary the Virgin was started in Sagada and Saint Gregory the Great was erected in Bagnen, Bauko for the new Christians. They were rarely called “Anglicans”. As claimed in the books, Roman Catholics were also Christians but under the Roman obedience. History has it that Anglicans are Christians under the English obedience. 5. The Anglican Church put up the mission for praise, medication and educational goals. Staunton exerted less effort to convince other people in the remote areas of Sagada since the natives themselves look for other converts. According to him, it was trust that played. 6. 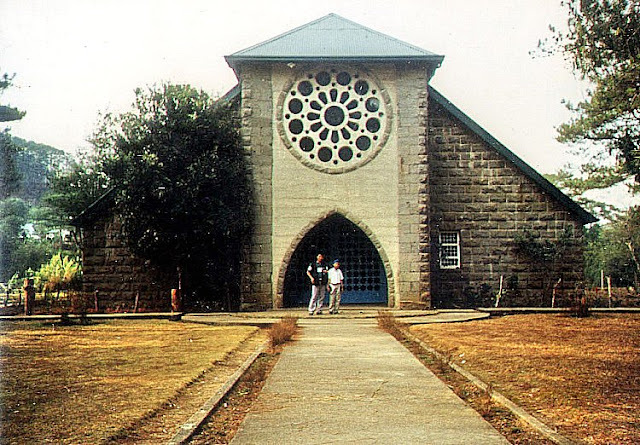 Due to the massive success of the Anglican Church in Sagada, the bishop of Manila planned to regain the mountainous town. A Belgian priest, with Irish, American and Filipino Catholics arrived to Sagada for propaganda. 7. The Catholic group gathered the natives and asked them to never the follow the White men. A massive conversion ceremony by the Catholic team was done in Sagada then. Days passed, the team came back to ask the new Catholic converts for corresponding fees of the rites done to them. The natives did not understand the demand so they came back to the white Anglican team which was struggling to make the Anglican Church wider. 8. Throughout Staunton’s letters, he was protesting against the “Church at Home”, which he called a “wealthy corporation”. He was telling Bishop Brent to send him more cash since all the appropriations were not able to meet the expenses of building an Anglican mission in the place. The impression was that rural living is far cheaper. But he proved that assumption wrong since all the things needed to build a church come from Candon and Manila so they needed to pay the trading miscellaneous of the items. According to him, the trading doubled the prices of the nails, lumber and other relevant things used to build a church. 9. In 1908, three storms hit Sagada in nine days leaving all the houses roofless, tens of people killed, properties gone due to massive landslides. This urged the building of a stone church which is now Saint Mary the Virgin. He was impressed when the natives came to help him rebuild the damaged missionary houses. Staunton mentioned in the letters that the natives should be paid with the current labor rate which was P2.00 per day. 10. Since the “Church at Home” never understood the demand of Staunton, Saunton proposed to abandon Sagada and let the Catholics convert the natives.